Whether you just need a consult or a plan to hold you accountable, I offer something for everyone. Get your weekly dose of nutrition knowledge on the A-Hub blog. Don’t just take my word for it - read what my clients have to say about working with A-Hub Nutrition. Nutrition is arguably one of the biggest game changers in reaching goals either aesthetically or performance based. I want to cater to each individual's unique circumstances. Whether it is weight loss, weight management, body recomposition, being able to run around with your kids, developing a healthy relationship with food, or getting away from a very low calorie diet, I can help you reach your goals! Hear more about what A-Hub clients have to say about A-Hub nutrition and it’s results. Flexible dieting is the most effective way to maintain a lifestyle from that of a busy soccer mom to the college athlete. There are so many fads. So many trends. So many opinions and ideas.  Well - check out this informational blog for a well-rounded overview of what flexible dieting and sustainable nutrition really means, how it can be used, and the results it produces for A-Hub Nutrition Clients across the U.S.
Official home of the AHub Gear store. Check out the latest merchandise here. I had a passion for fitness and nutrition starting at the age of 14. Over the years through personal experience and research, the passion grew greater and greater leading to where I am today. At 16 I began doing CrossFit which led me to CrossFit competitions, Olympic Weightlifting, and Powerlifting. I am CrossFit-L1 certified, NCI certified, Precision Nutrition L1 certified, AFPA Holistic Nutritionist, and have a degree in Business: Digital Marketing and Advertising. I have a lot of experience working with athletes but I work with a lot of lifestyle clients, too. Everyone needs to work on living their best life via nutrition and exercise, not just competitive athletes! My mission is to help others learn about nutrition in a way that helps them fuel their bodies, reach their goals, and is sustainable for their lifestyle - while utilizing flexible dieting. I want to make your diet and training work with your lifestyle, not control your lifestyle. Looking to inquire about some of my programs, collaborate on a blog, or just say hey? Let's talk! This community is full of individuals looking to make conversation about nutrition, lifestyle, training, etc. and trying to live their best lives, heck yes!